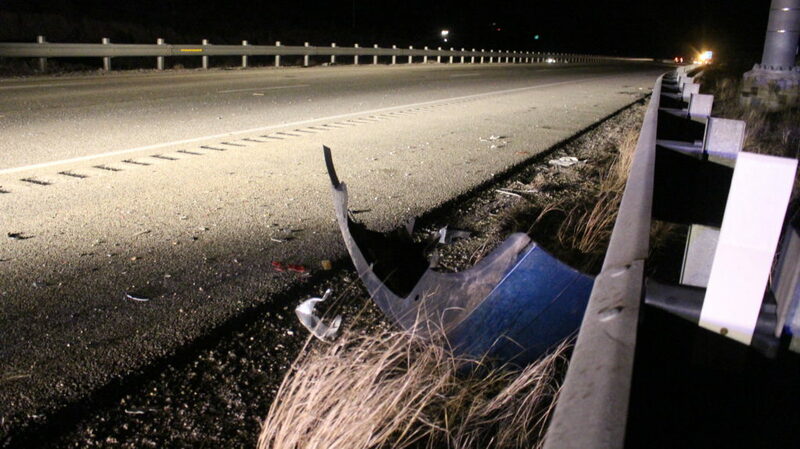 WASHINGTON COUNTY — A car smashed into a guardrail on Interstate 15 Saturday evening, leaving behind chunks of detached metal and plastic which authorities said led to further crashes. 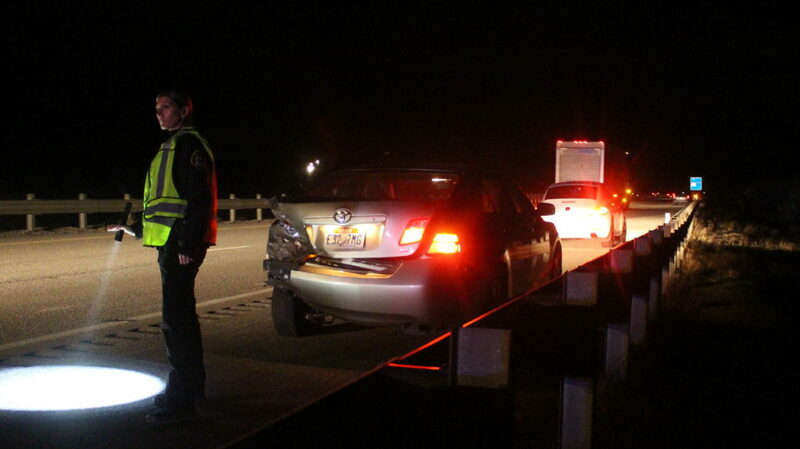 At approximately 8:20 p.m., Utah Highway Patrol was dispatched to the crash near milepost 29 on the southbound lane of the interstate. 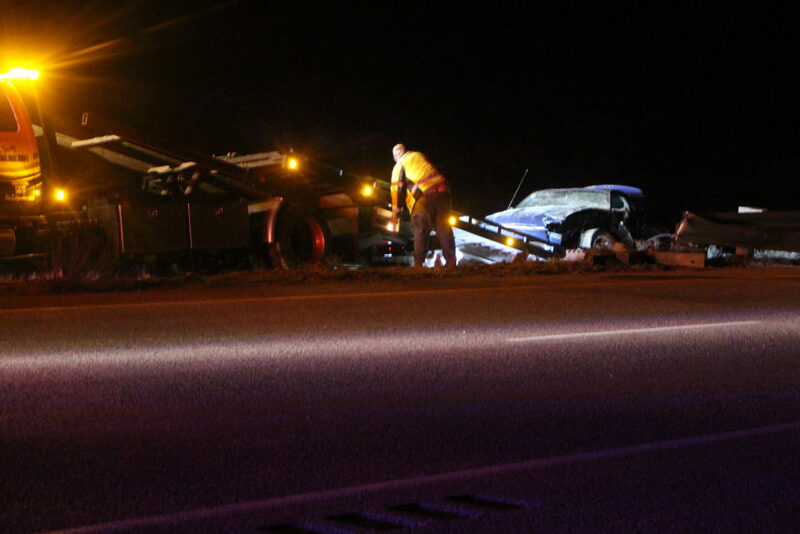 The initial crash involved a woman driving a blue Ford Mustang. “She left her lane and hit the end of the guardrail, and when she hit that she rolled her vehicle,” Utah Highway Patrol Trooper Chris Terry said. While exactly what caused her to leave the road is still the subject of investigation, Terry said speed could be a factor. The woman was transported to the hospital with injuries that were not considered to be life-threatening. 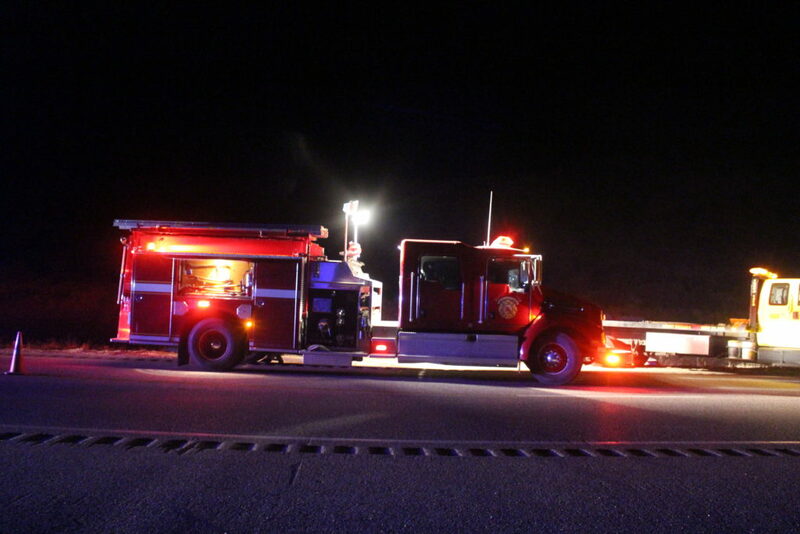 “There was another car involved with the rollover that hit the debris from the Mustang,” Terry said. The driver of that car was uninjured but the car had to be towed due to extensive front-end damage. Shortly after, Terry said, another driver was focused on the scene of the crash and wasn’t paying attention and crashed as a result. That driver’s vehicle was also towed. “That was a chain reaction,” Terry said. Any citation is pending until further investigation is completed. Despite all the crash, crunch and clutter, all of the drivers had been wearing their seat belts, and no serious injuries were reported. 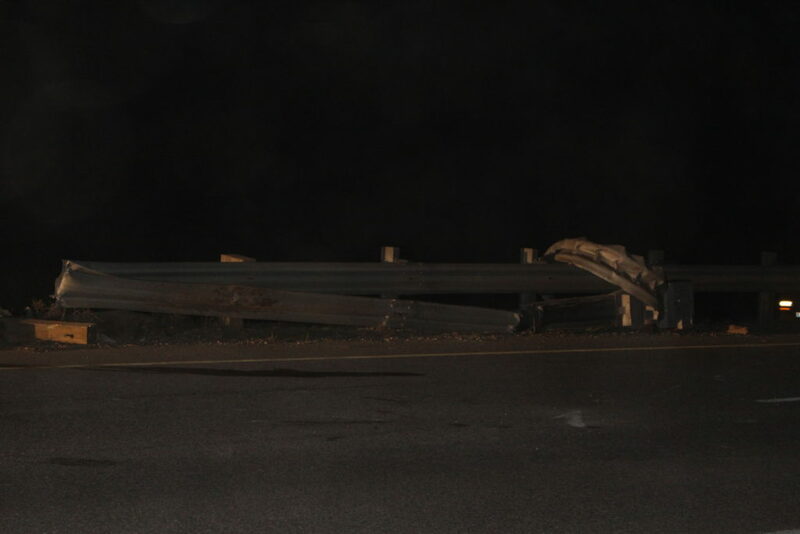 The Mustang took out several yards of guardrail in the crash, leaving behind gnarled metal that emergency crews later removed. 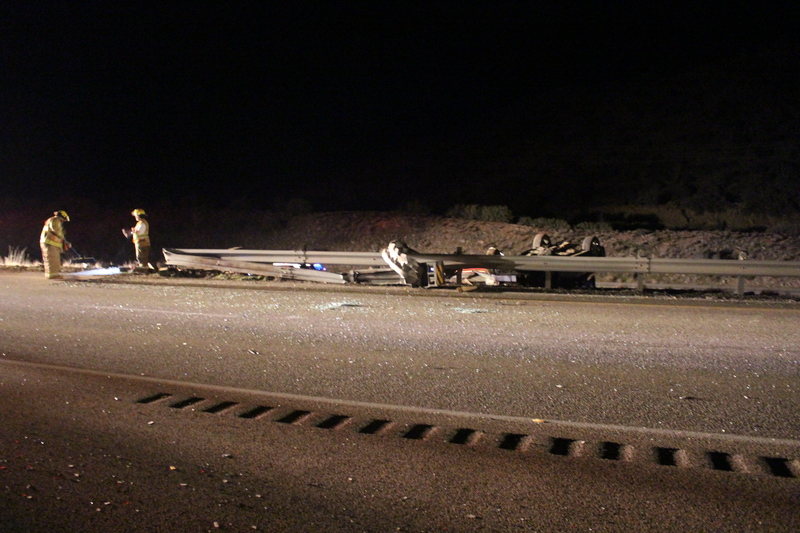 “The guard rail did its job and prevented further injury, I believe,” Terry said. Pieces of car lay detached in the roadway while the smell of burnt rubber hung heavily in the air. The Mustang was flipped upside down on a hillside, making the tow truck driver’s job ever more precarious, though the car was ultimately extracted without incident. Deputies from Washington County Sheriff’s Office helped direct traffic as emergency crews from Hurricane Valley Fire and Rescue helped clean up the scene.